SHPE Boston’s president and vice president, Axel Vigo and Elvia Bautista, have volunteered as mentors for the Hack.Diversity program. Hack.Diversity is a program that tackles the underrepresentation of high-skilled minority employees in Boston’s innovation economy. 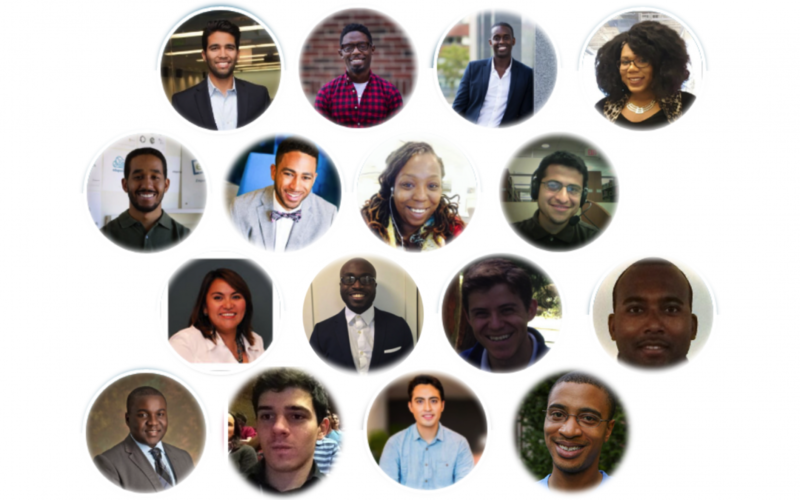 Hack.Diveristy recruits Black and Latino computer science and engineering students into the city’s fastest-growing companies — training, coaching and mentoring both employer and employee throughout the experience. As mentors, Axel and Elvia provide insights and advice to coach Hack.Diversity interns through the length of the program. Each mentor has been matched with an intern to cultivate one-on-one relationships through weekly touch points as interns navigate their Hack.Diversity internships and their career trajectories. [Medium.com] Doubling the impact: Welcome, Hack.Diversity Mentor Network! Great job Axel and Elvia! !